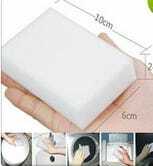 You know those “Magic Erasers” that can wipe stains off seemingly any hard surface? 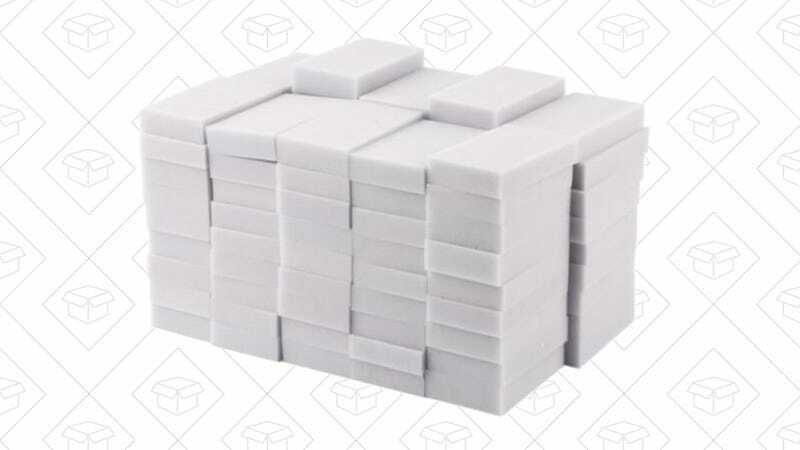 They’re really just melamine sponges with a marketing budget, and you can get 100 off-brand equivalents for just $8 on Amazon. I used these after moving into a new apartment a few weeks, and they made quick work of all of the scuffs I made on the walls.